The Triangle Legal History Seminar (TLHS) brings together faculty and graduate students with an interest in legal history, broadly conceived. The universities of central North Carolina provide a home to numerous scholars who are active in the field. Collectively, our areas of expertise range from the early modern period to the present. We study Asia, Latin America, and Africa, as well as Europe and North America. Some of us explore the institutional dynamics of legal change, including the clashes between contending legal cultures, especially in the context of colonialism. Others probe the complicated relationship between law and society, considering how popular attitudes toward law evolve, how legal rules often reinforce social identities and hierarchies, and how law sometimes help to propel fundamental social change. Still others investigate the interconnections between legal transformations and the evolution of modern capitalism. Although most seminar participants are based in history departments, several are based in law schools, and some in other social science departments. 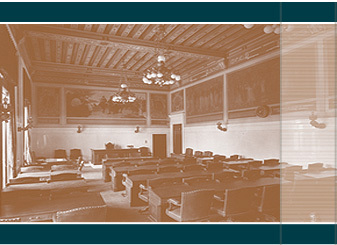 Launched in the fall of 2006, the seminar’s central purpose is to provide a forum for the presentation of pre-circulated drafts of work-in-progress, involving legal history from any historical period or part of the world. We hope to stimulate scholarly conversation across the divides of space, time, and methodological approach. Although seminar presenters will generally be scholars or graduate students from the Triangle community, we expect to bring in one or two scholars from outside the region each year. The seminar meets 6-9 times during the academic year, generally from 4-6 on a Friday afternoon and usually at the National Humanities Center in the Research Triangle Park. For the 2009-2010 academic year, the TLHS co-conveners are Edward Balleisen, of the Duke University History Department, and Alfred Brophy, of the University of North Carolina-Chapel Hill's law school. Financial support for TLHS has come from: the Carolina Seminars Program from the University of North Carolina-Chapel Hill; the Duke and North Carolina State History Departments; the Duke Law School; and Duke’s Vice Provost for Interdisciplinary Studies.